Hi guys! I’d like to leave my review that I had with my Seoul Touchup Tour. This company seemed to be already popular as a medical agency, so I’d like to share my experience with Seoul Touchup Tourism. I was looking for rhinoplasty as well as tourism in Korea because I wanted to enjoy my days in Korea after the surgery. 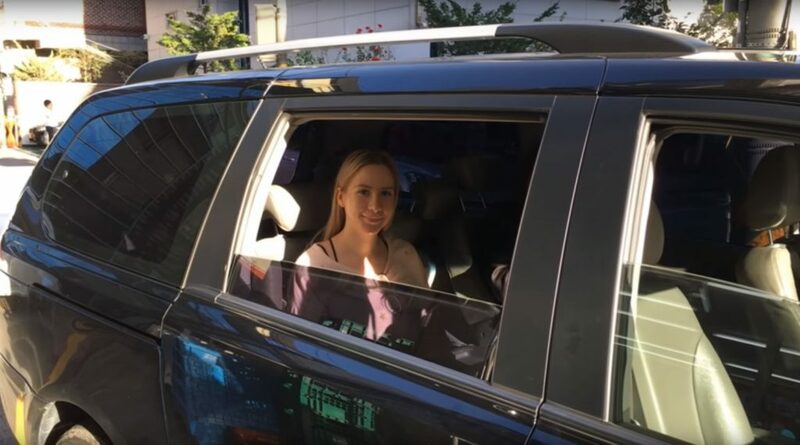 My friend who had plastic surgery recommended Seoul Touchup, and thankfully Seoul Touchup not only provides medical related services but also tour services! My friend told me that I can easily find their website on Google. I contacted Seoul Touchup by filling up ‘Get Started’ form on the website, and their reply was very quick. They helped me to arrange my tour and accommodation. All I had to do was to buy my plane ticket and send them my flight details. Basically Seoul Touchup handled everything else for me! They booked me with Foreheal Hotel with breakfast included. This hotel is a 4-star hotel located in Gangnam of Seoul. It was a great stay for me because the location was very suitable for tourists and the room was cozy and clean. I was actually surprised that the price I was offered by Seoul Touchup was much cheaper than what was offered on other hotel booking websites. It was my first time to visit Korea. When I had just arrived at the airport, I was a bit nervous about myself being alone in a foreign country. To my relief, as soon as I went out the gate, Seoul Touchup team was already waiting for me. They welcomed me with warm-heart, and quickly took me to the hotel. On the first day, I had consultation for my nose and got arranged for surgery day. Personally, it was the most stressful and anxious time for me because whether or not they are good, it is the surgery anyway. I couldn’t get rid of my thoughts on any bad outcomes. Without Seoul Touchup team who was with me during the consultation to explain all details and make me think positive, I could not have done any surgeries. I had a few days to get recovered after rhinoplasty and had a tour that Seoul Touchup arranged. On the first day of my tour, Seoul Touchup team came to pick me up to my hotel to go Ssamziegil and The Garden of Morning Calm. Seoul Touchup took me to Ssamziegil. The area was full of interesting things such as artistic works, traditional products, craft workshops, restaurants, and more. There was so much to look around. I really liked the design of those traditional fans, and I bought one for a souvenir. After looking around the area for about an hour, we went into this restaurant for lunch. The restaurant looked very traditional. 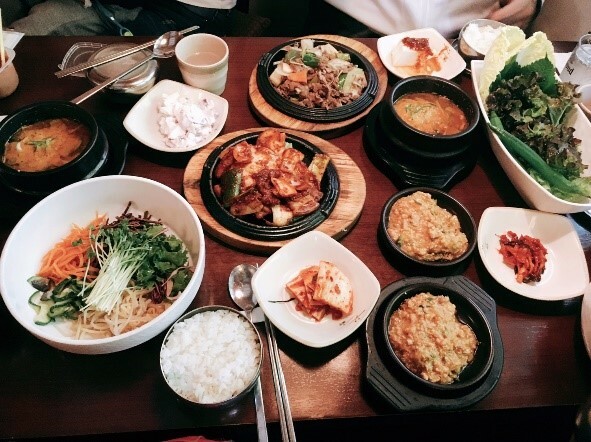 We had mixed rice with other side dishes. The food was great overall. Personally, I liked the taste of this soup called Doenjang Jjigae. They said it’s made with soybean. After our lunch, we moved on to The Garden of Morning Calm. 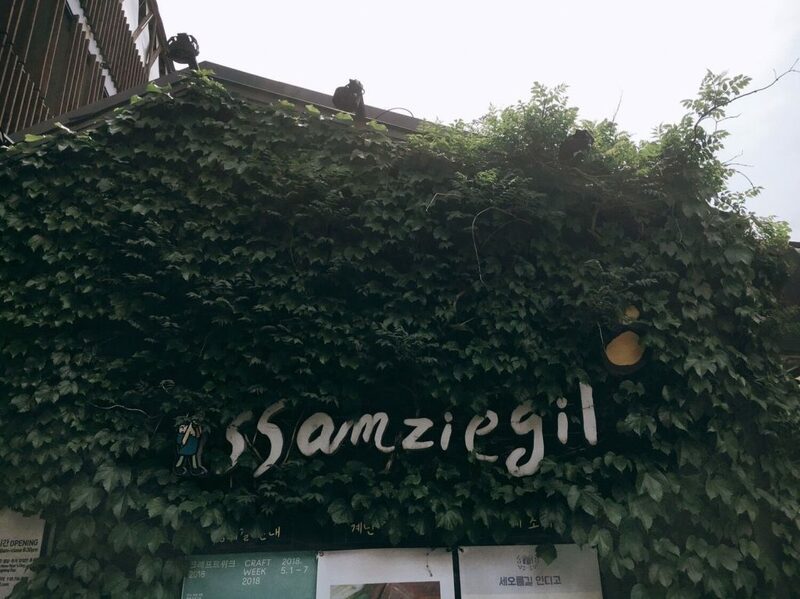 Seoul Touchup took me to Ssamziegil. The area was full of interesting things such as artistic works, traditional products, craft workshops, restaurants, and more. The restaurant looked very traditional. We had mixed rice with other side dishes. 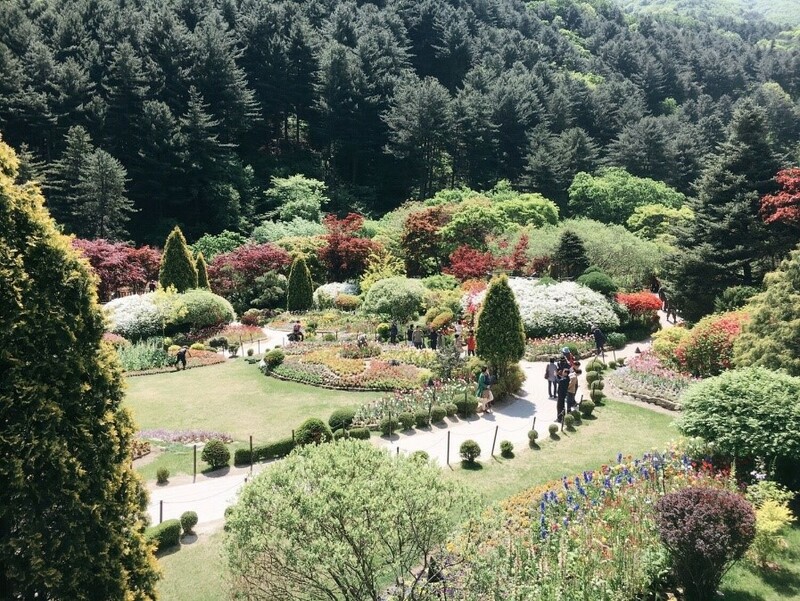 We went to Garden of Morning Calm in Gapyeong. Luckily, there wasn’t so much traffic, and it only took us about 1 hour and 30 minutes from Ssamziegil to the Garden. I was a bit tired from the tour, so I took a nap in the van. Thanks to Stephano, he is such a gentle driver! When I got there, the weather was so good. It was a perfect day for a tour around the garden. The garden was quite big. There were so many different kinds of flowers and trees. It felt like I was out of Korea because my first memory of Korea is Seoul, which is a modern and big city. I really liked the brick house in the garden. It was like one of the houses in fairy tales. I also liked the view of the pond. We spent about 2 hours in the garden before we moved on to get back to our hotel. It was a perfect day for a tour around the garden. The garden was quite big. There were so many different kinds of flowers and trees. I really liked the brick house in the garden. 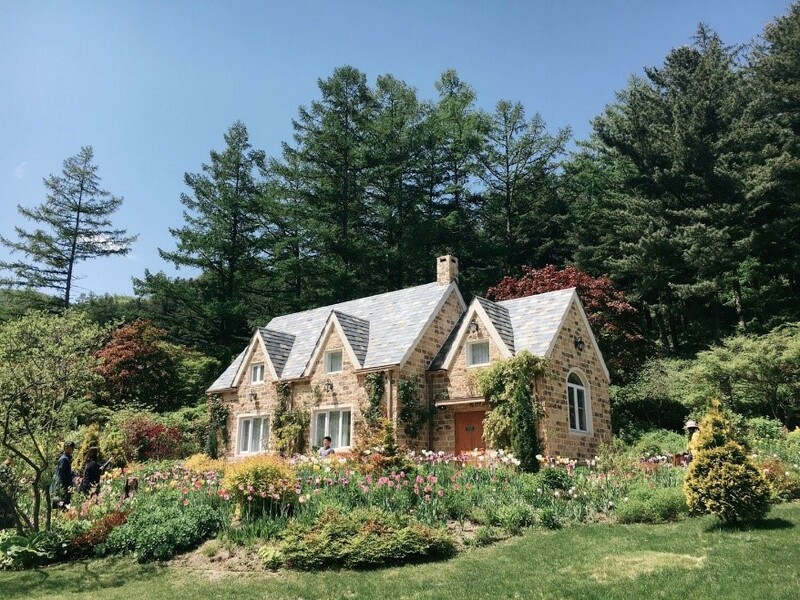 It was like one of the houses in fairy tales. 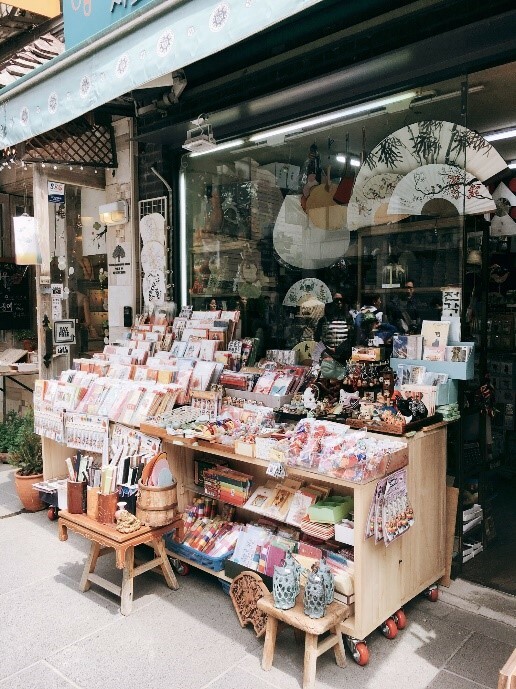 My tour experience with Seoul Touchup was beyond my expectation. What I liked about was the tour was very private, so my tour schedule could be flexible and customized for me anytime. The members from Seoul Touchup were very kind and attentive, and they know where to guide me. I had such a quite beneficial time overall while I was focusing on recovery after surgery. A Twitch streamer gets plastic surgery in Korea through Seoul TouchUp. IzzyG just had plastic surgery in Korea through Seoul TouchUp and filmed her good reviews! Izzy G, also known as Pink Sparkles, is a popular live streamer on Twitch with over 700,000 followers. She also has over 160,000 followers on her Instagram account. Izzy already had a nose job in the USA, but she was very unpleased with the result because her nose tip was still droopy and long. She knew that there are many reputable plastic surgery clinics in Korea and was looking to visit Korea for revision. But she had no idea where to go since all she could is to search clinics merely through online; she is not familiar with Korea. As scanning all clinic information, she contacted us, Seoul Touchup through the official website by filling out our “Get Started” form. 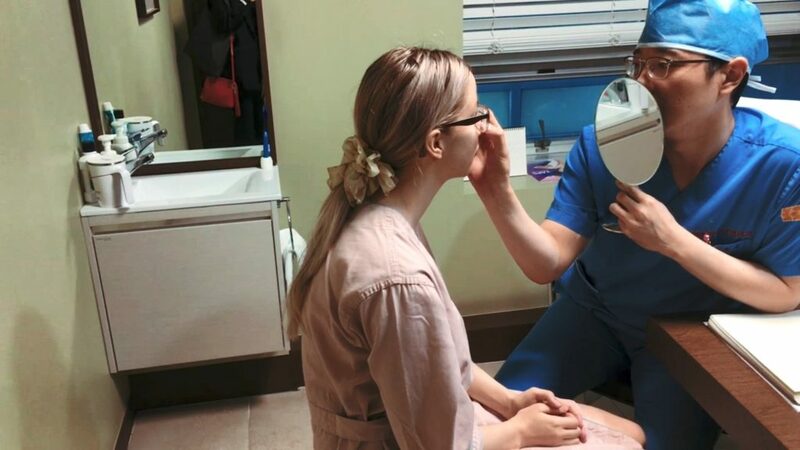 She wanted to get rhinoplasty, and Seoul Touchup team recommended Banobagi clinic for her as they have experienced and skilled doctors for her case, and planned out her tour in Korea. Because of our services, she could enjoy flawless and convenient time in Korea. All she needed to do was to buy her flight ticket. Izzy arrived in Korea at around the noon. She seemed to be happy and relieved when she saw Seoul Touchup team waiting for her at the airport. The weather was very nice when she arrived. We went right away to the clinic for consultation of her surgery as scheduled! Seoul Touchup provides full package service, which includes schedule arrangement, airport pickup/drop-off, transportation for any clinic visit, accommodation (4-star hotels), breakfast, groceries and after-care services. Because of our services, she could enjoy flawless and convenient time in Korea. All she needed to do was to buy her flight ticket. Izzy visited Banobagi clinic for consultation. After she had preparation for consultation, she met a doctor who is specialized in rhinoplasty. Izzy visited Banobagi clinic for consultation. After she had preparation for consultation, she met a doctor who is specialized in rhinoplasty. She told the doctor that she wanted to have her nose tip lifted and a bit shortened. She was very happy with the consultation because the doctor clearly understood what her concern was and his explanation was quite understandable. 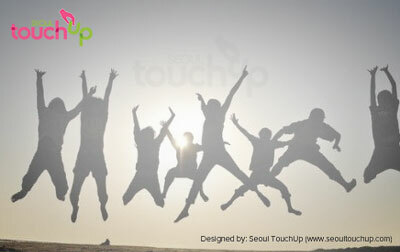 Seoul Touchup guarantees the lowest prices with their partnered clinics. Seoul Touchup offers partnership price for their customers, which is lower than quotation that people would get from clinics as an individual. Izzy had a Seoul City tour by Seoul TouchUp to Gyeongbokgung Palace with Korean traditional costumes on. 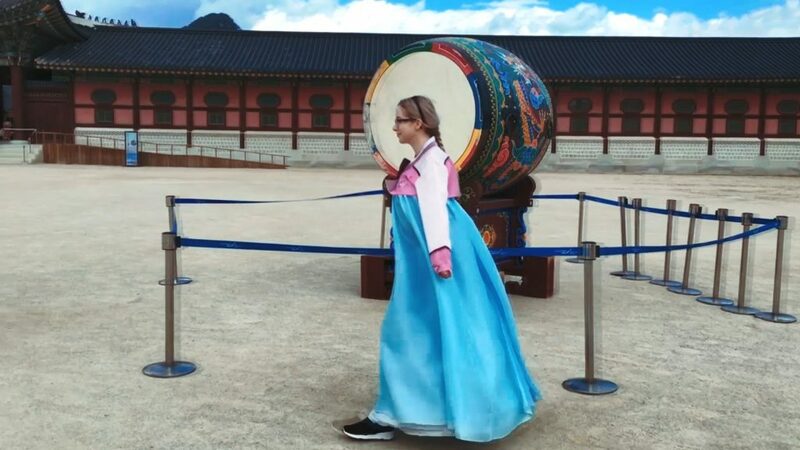 After Izzy’s first consultation with the doctor at the clinic, Seoul Touchup Tour team took her to Gyeongbokgung Palace, an iconic palace in Korean history. The palace was in Seoul and took about 40 minutes’ drive. Before entering the palace, Izzy rented and put on Hanbok, a traditional Korean dress. She really liked her experience of going around the palace in Hanbok. It was a very special and new experience for her, and took many photos of herself in Hanbok to keep her memories. We looked around the palace area for about 2 hours. 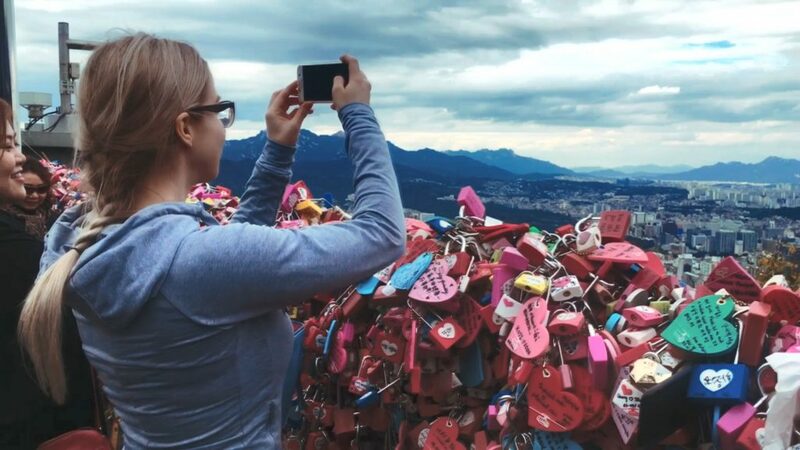 Izzy really liked the view of the Seoul city and took photos and videos. Seoul Touchup Tour team also took Izzy on tour to Namsan Park, a symbolic park on a mountain at the center of Seoul. We took a cable car to the top of the mountain. Even though the day was quite cold, the sky was clear enough for her to enjoy the view of the whole landscape of Seoul city. Izzy really liked the view of the Seoul city and took photos and videos. This is the end of part 1 of Izzy’s journey with Seoul Touchup. Please look forward to part 2 of her journey, which will be uploaded soon!